It goes without saying that Jews are mandated to feed the hungry. Programs to gather, prepare and distribute food to the poor are found at the majority of synagogues. But did you know that the problem of global hunger and meat consumption are causally linked? And that adopting a plant-based diet is one of the most significant things you can do to address global hunger? The largest quantity of food we waste comes not from food that is wasted post-production, but from the dietary choices we make that result in a dramatically wasteful and inefficient agricultural system. 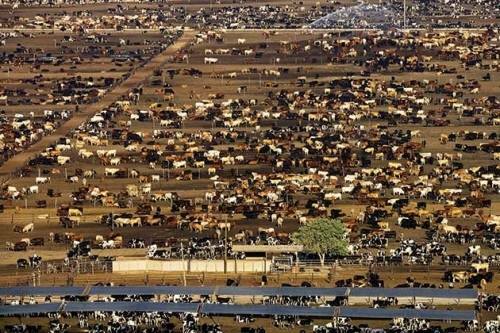 Meat-production is an inherently and grossly inefficient way to feed our increasingly crowded planet. 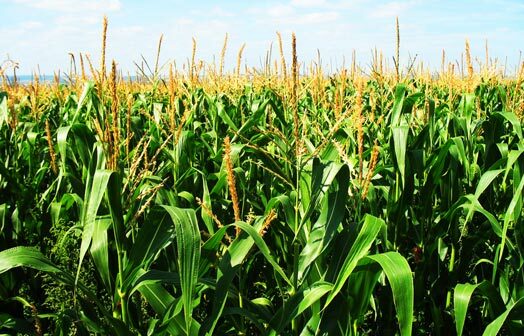 When you see a field of soy, corn or grains in the countryside, chances are those crops are not being grown for human consumption. The majority of grain in our country is fed to livestock, not people. Imagine if we were growing crops to feed people, rather than inefficiently processing crops through farm animals. Yes, we’re growing more than enough food to feed the entire global population, if only we weren’t diverting a huge percentage of that to farm animals. A study done by the highly respected Weizmann Institute of Science reported that in the United States alone, we could feed 350 million more people than we are currently feeding if we replaced all animal-based items with plants. That means we could feed the entire United States population, with enough food left over to feed another country of the same size. The scientists who conducted this study also found that the plant-based replacements could produce two to 20 times more protein per acre. The fear of a protein deficiency from going vegan is nothing more than a myth. The researchers also compared the amount of land specifically used for beef with a mix of common crops such as soy, potatoes, cane sugar, peanuts and garlic. The amount of land needed to produce 100 grams of protein from these crops would only produce four grams of protein from cows. If this does not demonstrate our misuse of land and resources, what does? Fortunately, we can all address this shameful and unsustainable situation through our own food choices. Information for this page found here.